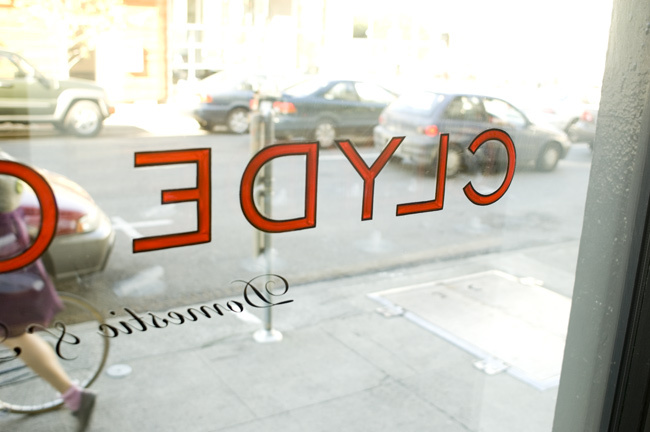 Clyde Common is an English, gastro-pub style restaurant adjacent to the Ace Hotel in Portland, Oregon. 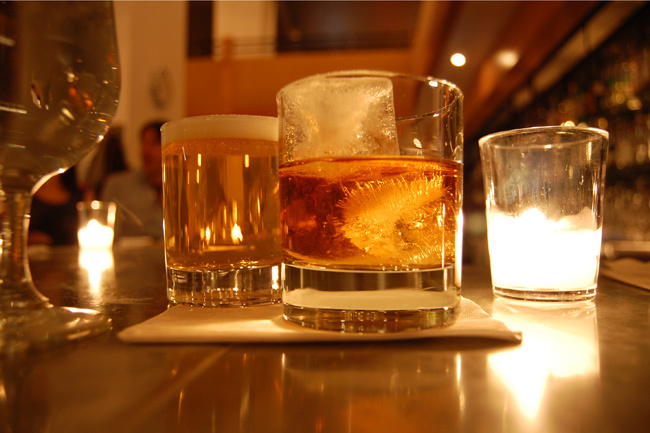 Amazing food, drinks and atmosphere, accompanied by a huge selection of bourbon and scotch. 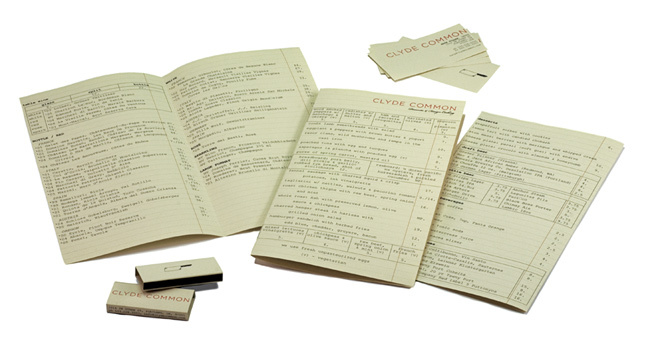 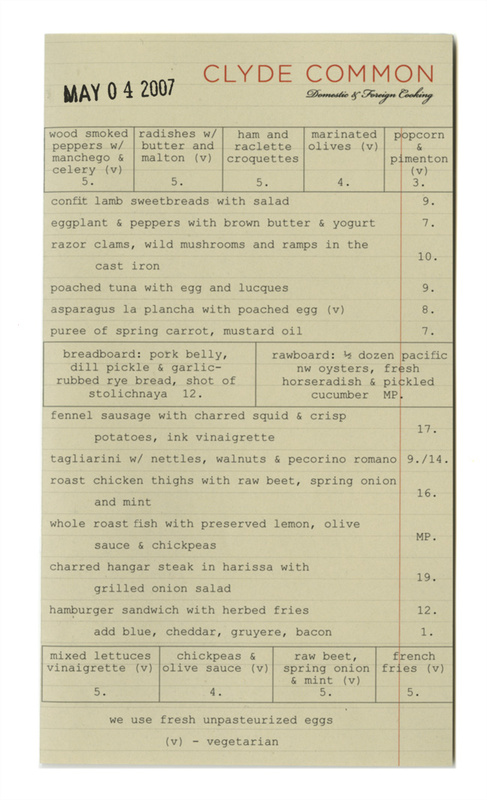 Nate Tilden, Clyde’s owner, wanted a menu that could be updated daily; food on the front, an abundant wine list in the middle, and drinks and desserts on the back. 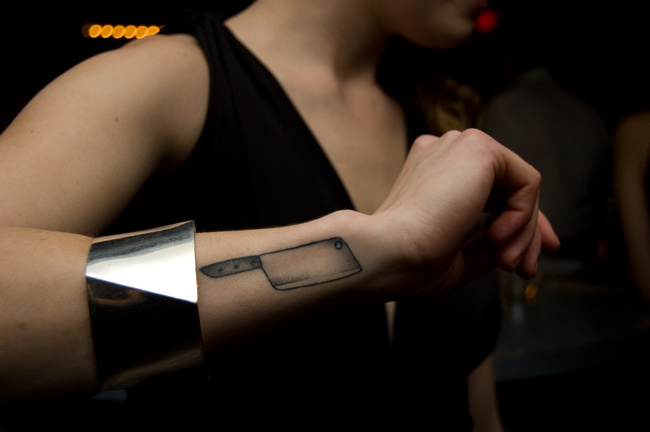 One of the bartenders liked the meat cleaver I drew for the business cards and matchbooks enough to get it permanently added to her body.